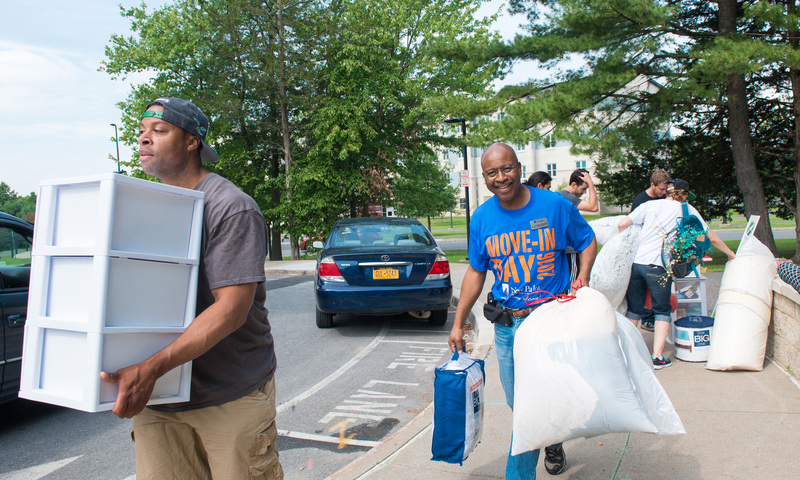 SUNY New Paltz inaugurated the fall term with its annual Move-In Day tradition on Aug. 25, as hundreds of first-year and transfer students and their families were greeted by volunteers ready to help new residents settle into their campus homes for the fall 2016 semester. 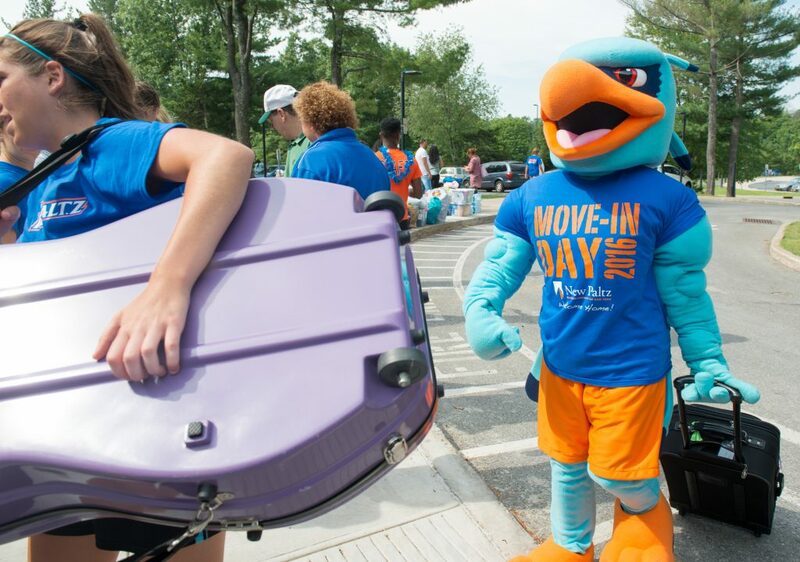 Brumfield and Provost Lorin Basden Arnold worked alongside 37 faculty and staff volunteers, 14 complex directors, 108 resident assistants, numerous student athletes and, of course, Hugo the Hawk to assist new students and their families moving into the College’s 14 residence halls. 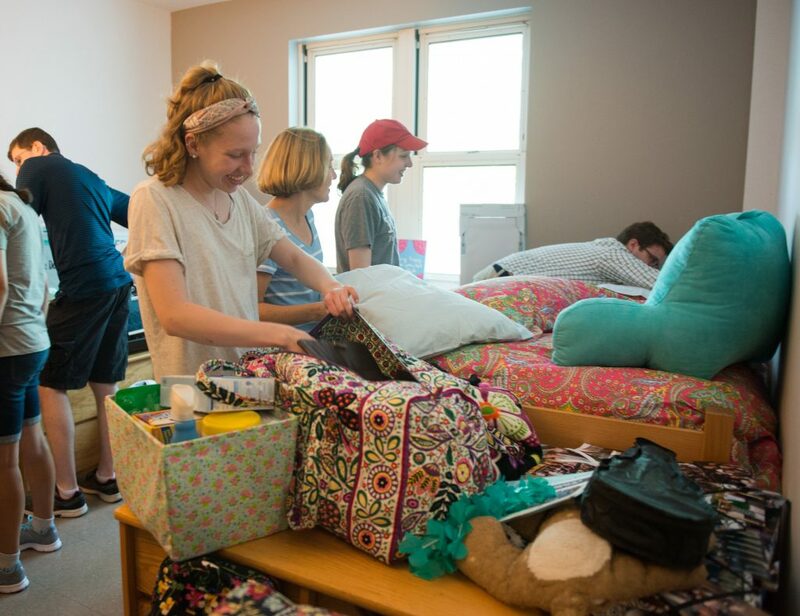 For the Office of Residence Life, Move-In Day is an “all-hands on deck” tradition, not only because of the volume of new students on campus, but also because it is a chance for the complex directors and resident assistants who will live and work with them throughout the year to make a good first impression. The many smiling faces among the campus’s newest residents suggest this welcoming approach is having the desired effect. Incoming first-year students will receive an official welcome to the SUNY New Paltz community at the 2016 Convocation Ceremony on Friday, Aug. 26. Convocation will begin at noon in the Athletic and Wellness Center, and will include keynote addresses from President Christian, welcoming remarks from faculty, alumni and current students and an outdoor barbeque. Live stream the Convocation Ceremony beginning at 11:30 a.m. on Aug. 26 by following this link!